Smooth and shiny hair is what we women try to achieve. By hook or by crook, "Shiny hair" has to be achieved! You can try a lot of homemade hair masks or other methods at home, but if you are looking for a quick solution then you have to opt for something temporary. 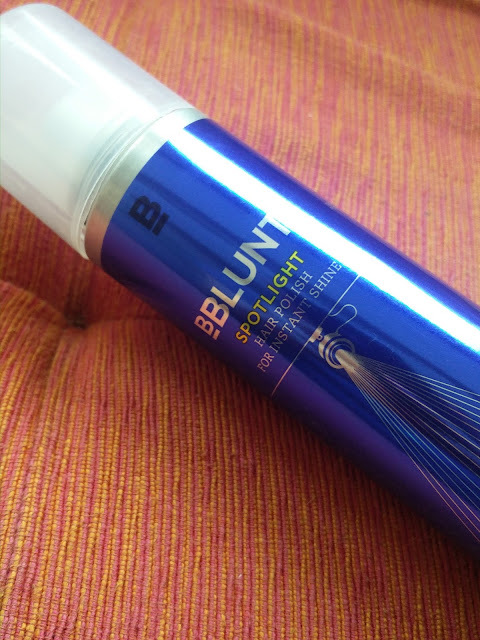 Presenting, the BBLUNT Spotlight Hair polish for instant shine! This is the answer, when you want to achieve shiny, smooth hair on the go! The hair polish comes in a deodorant sort of bottle with an aerosol spray. I received the bottle smashed up like this. The polish is a very light mist which has to be sprayed on the mid length and ends of the hair from a few inches away.It has a fresh and cologne-y fragrance which I like and it fades away after some time, which I like even more! Overall, I am quite happy with BBLUNT Spotlight because it does two things nicely. One- it smooths out frizzy hair and keeps it in place without making the hair all sticky and hard. Two - It gives a subtle shine. But sadly, the shine does not last for a very long time. It stays on for 2 - 4 hours then your hair starts looking it's normal self, not as dull as it was before using this, but yeah, you get the point! It does not make hair all greasy and heavy like I had thought it would, so that’s a plus! 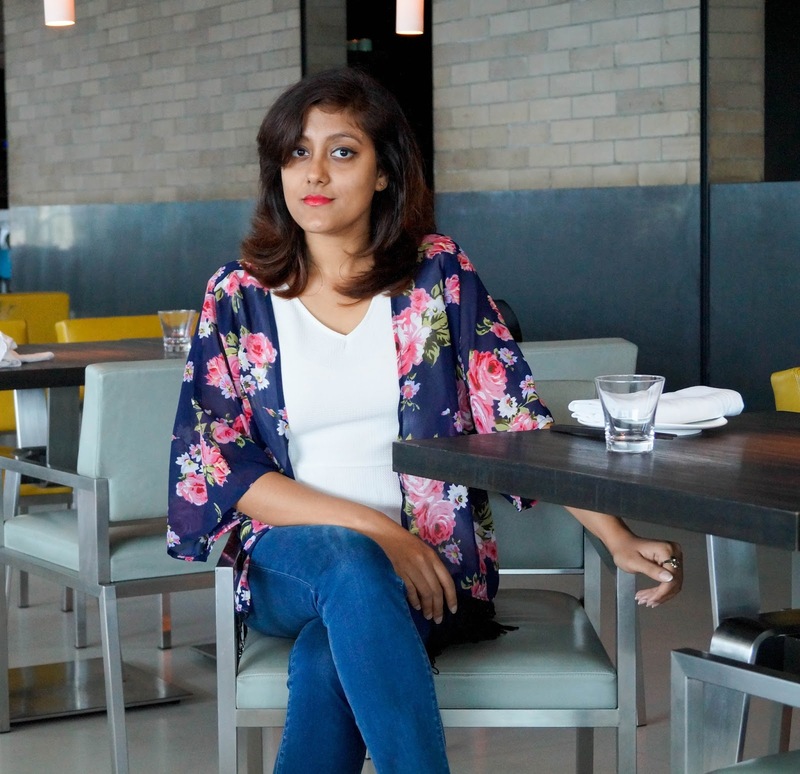 It is great to add some shine to all those elaborate hair – dos ! Do let me know if you give this a try! Also what do you like using to add shine to your hair!?? *Product sent by BBLUNT in exchange of my honest review. I like the hair spray. I had my doubts if it would weight down my hair, but thankfully it didn't. Yeah, BBLUNT is easily available. You can try this after your wella gets over. Seems to be something like a quick fix for an event, not an all day deal. Nice review !! Yes, It kind of is! Did you match your attire with the bottle? Did you punch the bottle? On a serious note, I received the same in My Envy Box and I am now looking forward to using it. The name spotlight is a bit of an exaggeration , but I prefer subtle shine myself too .